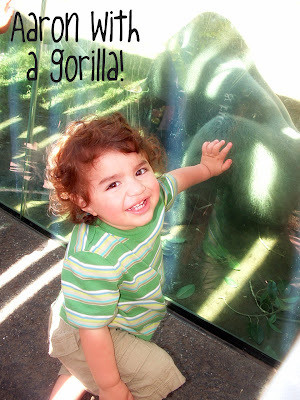 These pictures are from our trip to the Los Angeles Zoo last August. 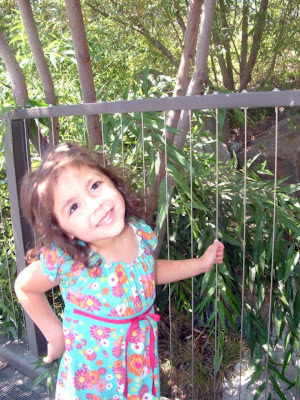 While Gerardo was in training in Long Beach, the kids & I took a trip to the zoo. I was really fun, it was pretty hot. And we were super tired out from a lot of walking! Princess Lilly looking pretty as usual! 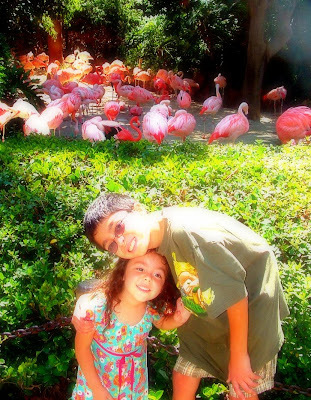 Jacob & Lilly in front of the flamingos. Aaron was right up against the glass & this HUGE gorilla was right on the other side. He wasn't scared at all until the gorilla turned around & looked right at him...then Aaron jumped down & screamed...I don't have pictures of that because I had to drop my camera to grab him before he had a heart attack..lolol! Click here to see all the pics of us at the LA Zoo.